In my experience, the twin pillars of horror cinema of the 1980s were Friday the 13th, and A Nightmare on Elm Street. In the ranks of all the 80s horror franchises, Friday the 13th was my favorite, but even as a child, I knew it was low-rent. 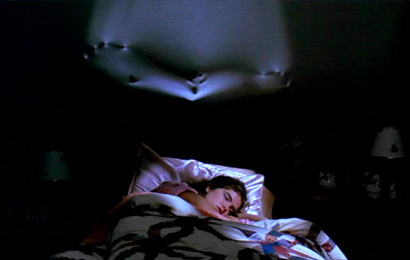 In comparison, the Nightmare on Elm Street series stood tall. While it is technically a slasher series like Friday the 13th series, the Elm Street series is miles ahead in terms of ambition. Even the worst of the series has a sense of style and imagination that doesn’t exist in even the best Friday the 13th movie. Since I did a retrospective on the Friday the 13th series last Halloween, I thought it would be great to do the same for this series this year. I will go through each movie in the series, excluding Freddy vs. Jason, which was reviewed last year. It is important to note that when I grade the movies on a scale of 1 to 4, it is only relative to other movies in the series. I am only grading the movies against other movies in the series. 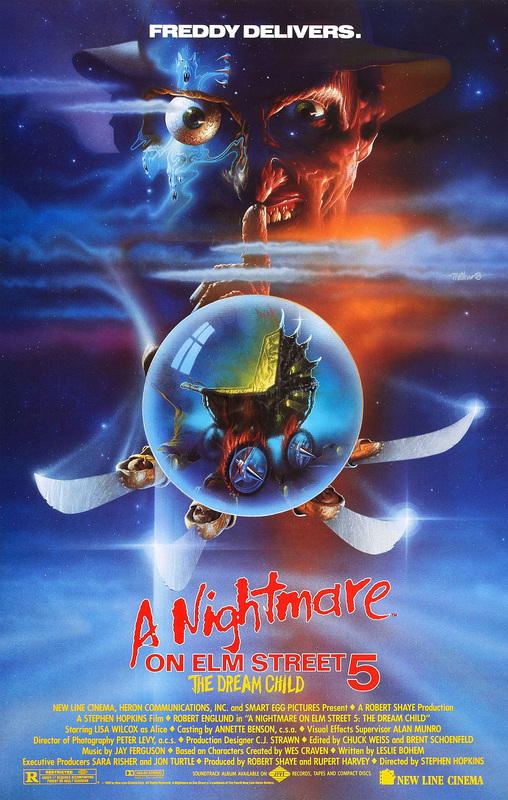 I don’t consider a top of the line Nightmare on Elm Street movie to be the equal of a genuinely great movie. The thing that sets this movie apart immediately – its premise. In the era of slasher films, this movie takes a unique angle that sets it apart from the rest. We all have dreams, sometimes nightmares. This is a common experience for all of us. 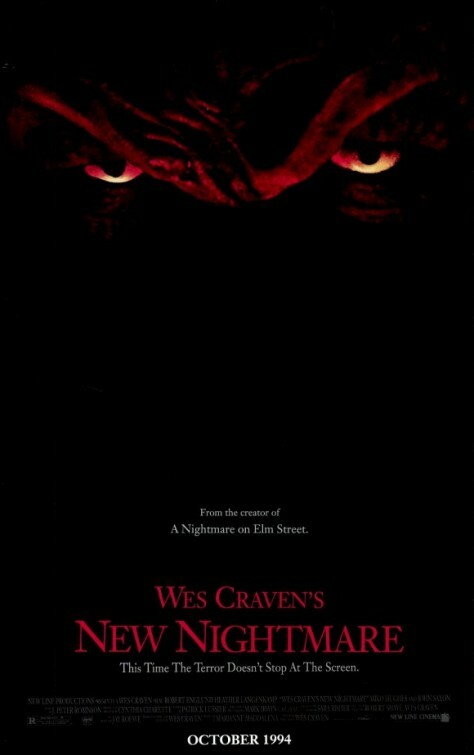 What Wes Craven does a great job of doing is taking this universal experience and turning it into a horror movie. We all have to sleep eventually, but what do we do when we know we’ll die if we go to sleep? On top of that premise you have this mysterious character who we know nothing about except he has a glove with blades on it. Just the knowledge that this character is out there and wants to kill you in your dreams is creepy enough. The reveal of who this person is and his connection to the main characters is compelling. The main character of Nancy, played by Heather Langenkamp, is an incredibly smart and appealing. I always loved the way she manages to “defeat” Freddy Krueger at the end, only to be disappointed at the cheap, studio-driven ending. This is a classic horror movie for a reason. There are many great sequences in this movie, the most memorable being Tina’s drawn out death on the ceiling. I was always fond of the pre Home Alone sequence, where Nancy booby traps her house for when she brings Freddy into the real world. This movie is on a different level than other horror films of its period. Its intelligence and scares ensured that this movie endures to this day. I always thought this was the outlier of the series. You could cut this movie out of the series and not miss anything. Nothing that happens in this movie is pertinent and is never mentioned going forward. The story involves a new family moving into Nancy’s house from the original, and the teenage son, Jesse, becoming possessed by Freddy to resume his killing spree. Whereas the original used the idea of killer dreams, this one sidesteps that idea, to its detriment. Freddy killing in the real world just isn’t entertaining, and to top it off, the characters in this movie are not interesting at all. The main character is one of the most unlikable characters in the series, which is saying a lot. He spends half of the movie complaining, and the other half terrified. This seems to be more a haunted house/possession movie than an Elm Street movie, like a standalone horror script hastily rewritten to add Freddy and the Elm Street mythology. The main problem is it is not in the least bit scary, nor is it entertaining. It contains some good gore effects, and Englund hasn’t tipped Freddy into the comedian character he becomes yet, but this is a movie that you can skip easily if you want to get the true follow up to the original. 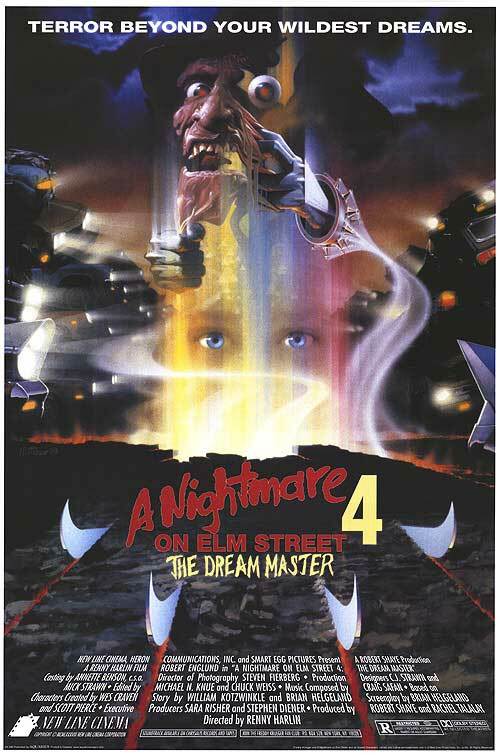 When people think of Nightmare on Elm Street, they either think about the original or this one. The way this series started and where it ended up are two ends of a large spectrum between horror and comedy, what this movie does exceptionally well is exist in the middle of the two. Unlike part 2, this is a continuation of the first one, with Heather Langenkamp returning to play Nancy helping a new generation of Elm Street teenagers defeat Freddy by teaching them how to use dreams to defend themselves. What I find most exciting about this movie is actually how fun it is. A lot of horror movies try to be so serious and dark that they forget to actually be entertaining, but this one perfectly gets the mix between comedy and horror. For an example of how hard it is to get that mix right, just wait a few movies in this series. 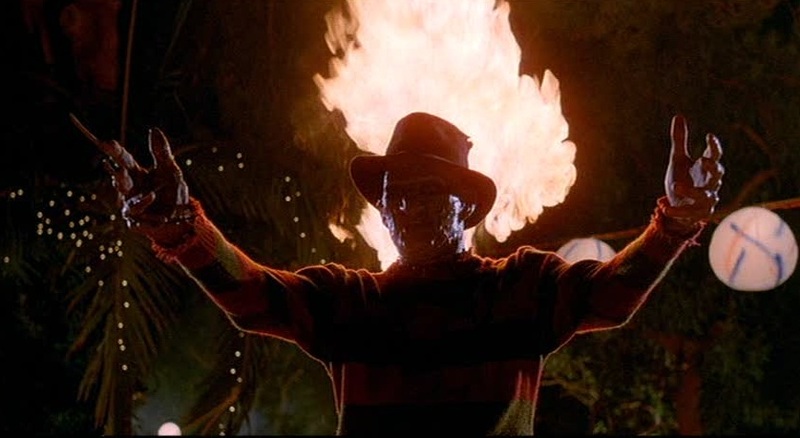 What this movie does right is expand the mythology in the right way, giving Freddy some backstory without taking away any mystery his character has, which is the best of both worlds. Freddy is more present in this movie, but he is still taken seriously because in this movie we actually like the characters he’s going after. That is a thing that a lot of these slasher movies get wrong. If we don’t like the characters and want to see them killed, than the movie can’t rise above a certain level, because you’re going to be seeing them a lot more than the killer. What sets the Elm Street series over its contemporary Friday the 13th series is its imagination and that is really set up here. The scene with tendons being used as puppet strings really affected me as a child. By the time you reach the end of the movie, you feel like you’ve been given a full and satisfying experience. This is where the series cemented its place in popular culture, taking the direction the series took starting with Dream Warriors and cranking it up to 11. It’s Nightmare on Elm Street meets MTV. It’s especially striking to see this one in comparison to the original. Gone is the moody horror of the original, replaced by a colorful, over the top splatter spectacle. It cannot be said that the movie is not visually spectacular, the movie looks vivid throughout. The biggest demerit of this movie is the leftover characters from the Dream Warriors, who make minor appearances early on and are subsequently killed off. The character of Kristen, who was played by Patricia Arquette in Dream Warriors, is recast here. This is a tactic that drives me crazy in movies like this and Alien 3, characters go through hell and back to survive a traumatic event only to die quickly in the next movie, rendering the last movie pointless. Fortunately the new character introduced to replace the old ones, named Alice, is one of the best in the series. She is able to gain strength of all the dead characters and becomes the titular”Dream Master”, being the only one who can defeat Freddy. The scene where she gets ready for her final battle by dressing up with items from each of her dead friends is vintage 80s cheese. While this isn’t the best in the series, it is still very entertaining and doesn’t go too far that it loses all sense of horror. What makes this one stand out to me is that it retains the same main character from the last movie and is a true sequel to the last movie. This one is defniitley not a popular entry in the series among horror fans, but I actually enjoy this one more than most. It is mostly due to the gothic feel that director Stephen Hopkins provides to the series. 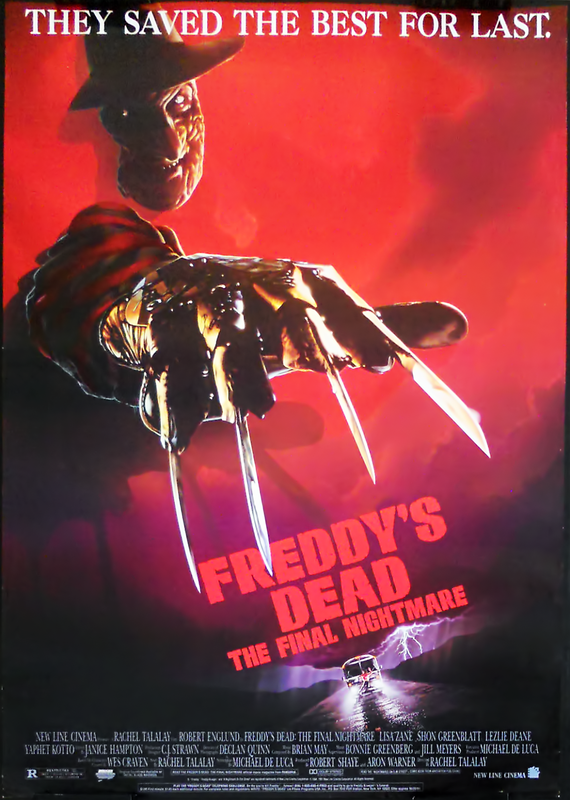 The premise of this one is actually interesting, involving Freddy using pregnant Alice’s baby’s dreams to kill more Elm Street teenagers. This movie is darker than the last one, but is countered by Freddy going even further in the comedy realm. 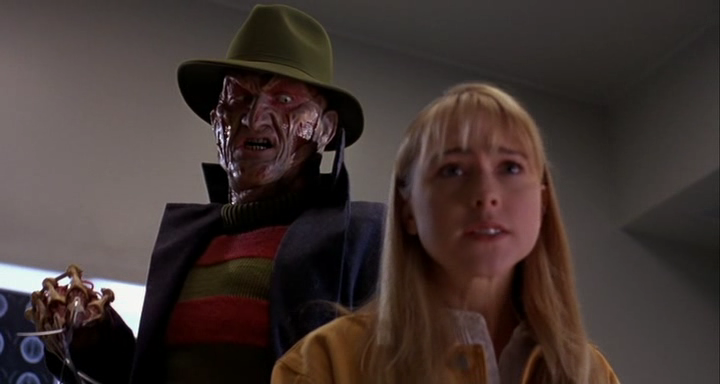 I feel if they pulled Freddy back to Dream Warriors levels, this movie would be better regarded. Even with all that, this movie is imaginative and good to look at. I still like Alice as the lead character, and am glad that it doesn’t fall into the trap of killing her off after having her triumphant in the last movie. I’ll get this out of the way first, this is by far the worst Elm Street movie. I can find virtually nothing to recommend about this movie. It falls into the worst instincts of the series and pretty much goes into full comedy. I cannot recall one instance of something actually being scary. Actually, I can’t recall a single attempt at eliciting anything other than annoyance at what this promising series has become. 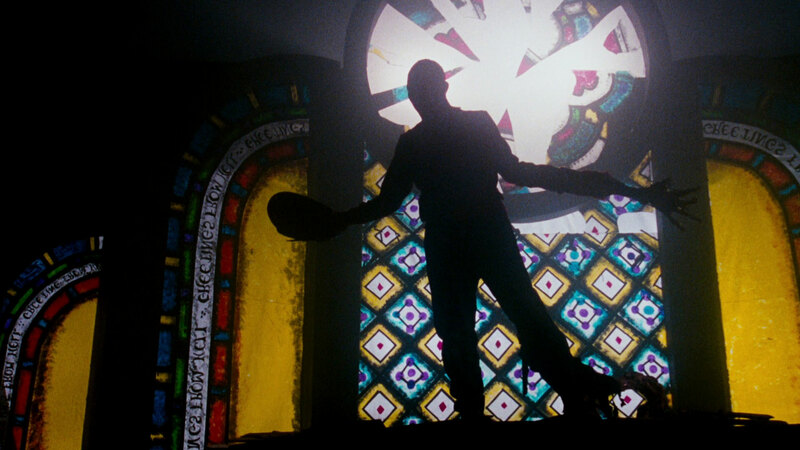 Along with its counterpart in the other major slasher series of the time, Jason Goes To Hell, this movie set its sights on ending the series once and for all. Like Jason Goes To Hell, this means the movie falls into the trap of trying to explain things that shouldn’t need to be explained. Was anyone wanting to know how Freddy got his powers? Was there anything to be gained from this? Not really, but by the time we go through useless flashbacks near the ending of this movie we pretty much get the answers, and none of it is satisfying in any way. The “characters” of this movie aren’t memorable at all, and the character of Freddy is at his worst here. What was once a menacing figure fully descends into parody here, and by the time we get to his “death” it is pretty much played for laughs. Even the deaths in this movie are too goofy to be effective, especially in the horrible video game segment of the film. There is not much to actually give a compliment to in this movie, the good news is there was nowhere to go but up after this movie. This movie is the best thing that could have happened after the debacle that was Freddy’s Dead. Despite what that movie promised in the title, it wasn’t going to last. Already, New Line had its sights set on making Freddy vs. Jason, having acquired to the rights to Jason from Paramount Pictures. So the fact that another Elm Street movie was going to be made was a foregone conclusion. You don’t have to go far to see what places this movie above many other movies in the series, simply look at the title. When Wes Craven was brought in to make another Elm Street to mark the 10 year anniversary of the original film, he rightfully concluded that there was no way he could continue the narrative muddle that the series had become. What he made instead is one of the most imaginative movies in the series. In fact it doesn’t take place within the series, it takes place in the “real world” instead. It stars Heather Langenkamp as herself and features cameos from other actors from the original including Robert Englund and Wes Craven as themselves. It is a straightforward horror movie about a demon that adopts the guise of Freddy Kruger to go after the people involved in making the first movie. This movie predates Scream as a post modern horror movie. It allows itself to take on how ridiculous the whole franchise had gotten, and how its villain had devolved over the series, while creating a “new” Freddy that was closer to Craven’s original intent. If you haven’t seen this one, which is understandable given the title being so divorced from the main series, I highly recommend it. In fact if you want a crash course in the Elm Street series, I would put this, Dream Warriors, and the original on the same level. Watch those three and you’ll only get the best of the series. This movies main problem is that it is simply mediocre. I can’t put it down in the depths with Freddy’s Dead, but I can’t claim it is a good movie, either. There was an excitement to the original movie with the mystery of Freddy, to the dream like atmosphere of the movie, and likeable characters. All are absent in this remake. What we get instead is competent, I suppose. The directing is fine, there are some good shots in the movie. But there is simply no energy in this movie. That could also be because the actors seem bored to be in the movie, bringing no energy to the movie. If they can’t generate excitement, how can the audience feel anything? 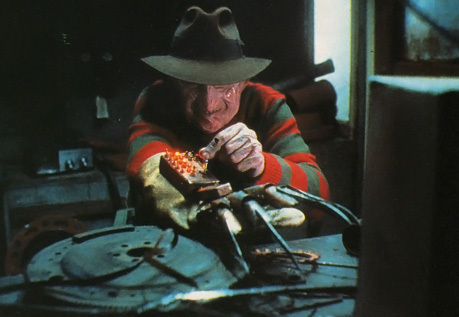 A curious addition to the remake is the attempt to have Freddy be a child molester in addition to being a child killer. That is an interesting choice and a difference to the original in a movie where they are inclined to simply reshoot images from the original throughout. 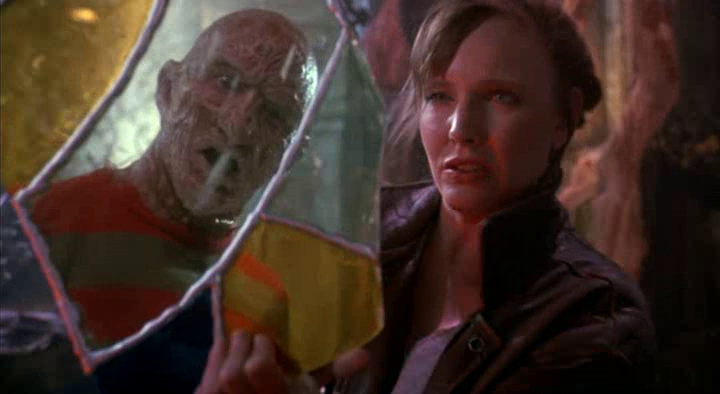 Jackie Earle Haley is no Robert England, but his Freddy is fine. There aren’t really enough scenes of him being frightening to live up to the original. It is a metaphor for the movie as a whole: similar but not nearly as good.